This is a special green chutney for starters. 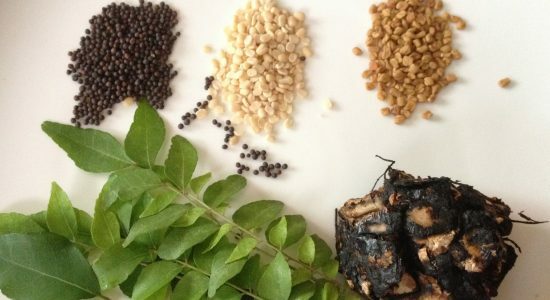 Generally the coriander or mint chutney we make at home for idlis or dosais is of a different kind. It is a mixture of dal, tomatoes and other spices with coriander or mint stirred in the kadai for a short while. 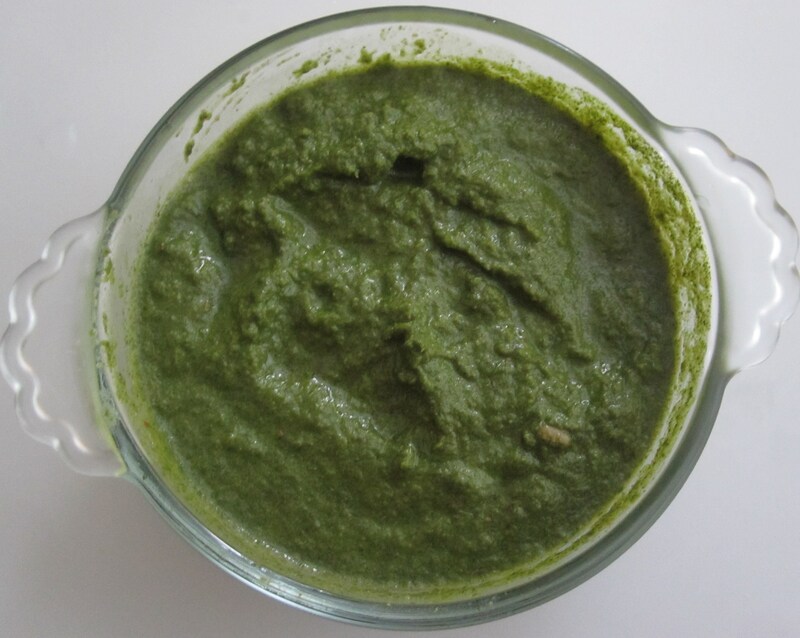 This green chutney is a culmination of south and north Indian chutney styles if I could say so. This especially suits fried, grilled, baked or steamed starters because of the tangy blend of spices. Chillies can be altered according to the spice preference of the family. Dry mango powder or lime juice can be substituted instead of tamarind. Serve with any kind of starter. Next Post Deepavali – the sweets and savouries story! hey dear, nice to hear from you after a long time! When I posted this chutney, I remembered renu and you – your article quite some back about this chutney..